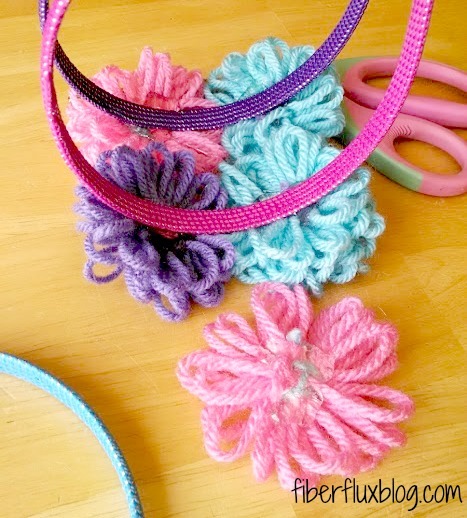 These cute little headbands are a fun project to do with kids and are full of yarny goodness. 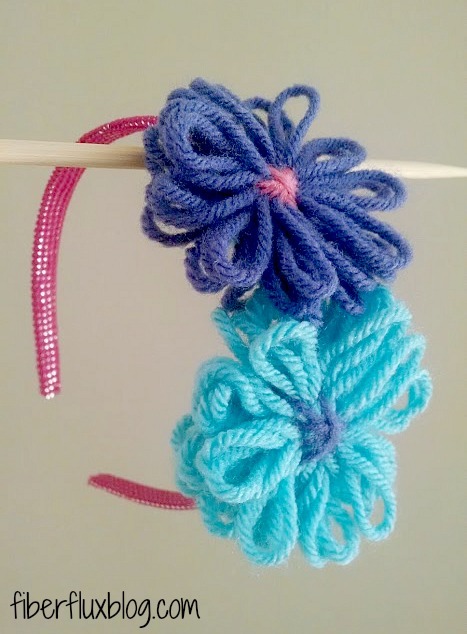 The flowers are easily made with a flower loom, and attached to store bought headbands. 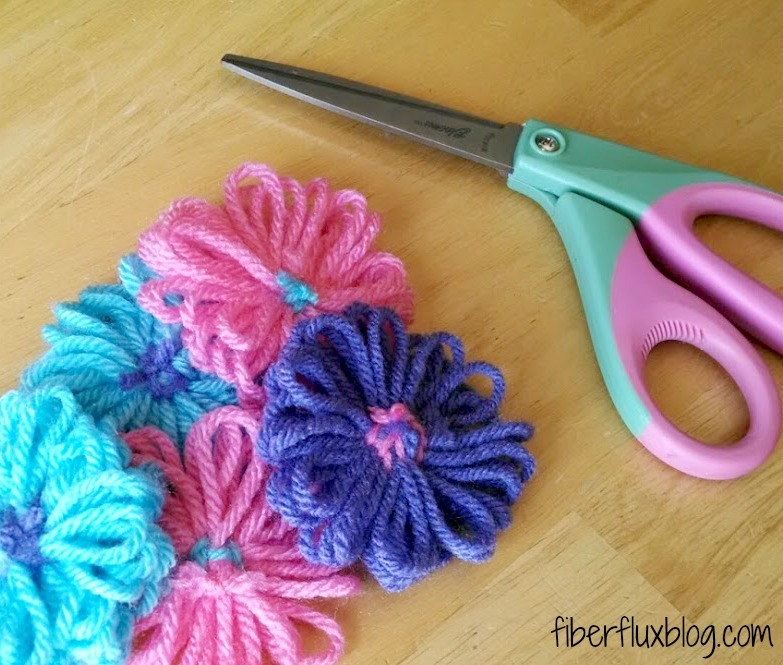 Make as many flowers as you need using a flower loom. 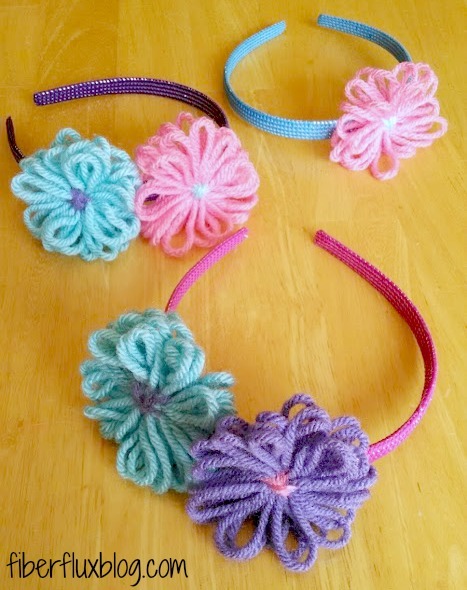 I made a couple of headbands with two flowers and one headband with one flower. 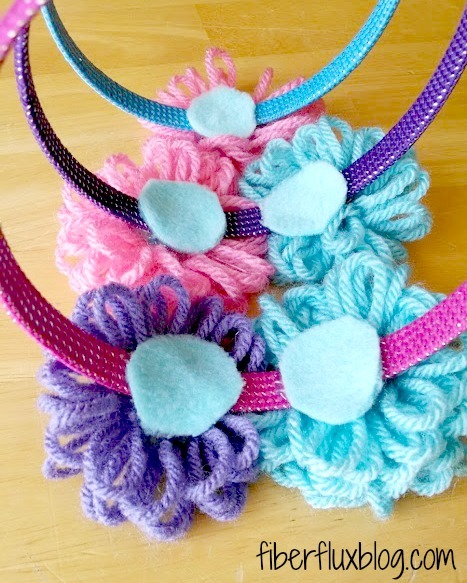 And stick the headbands right on. You may have to prop them up on something to hold in place. 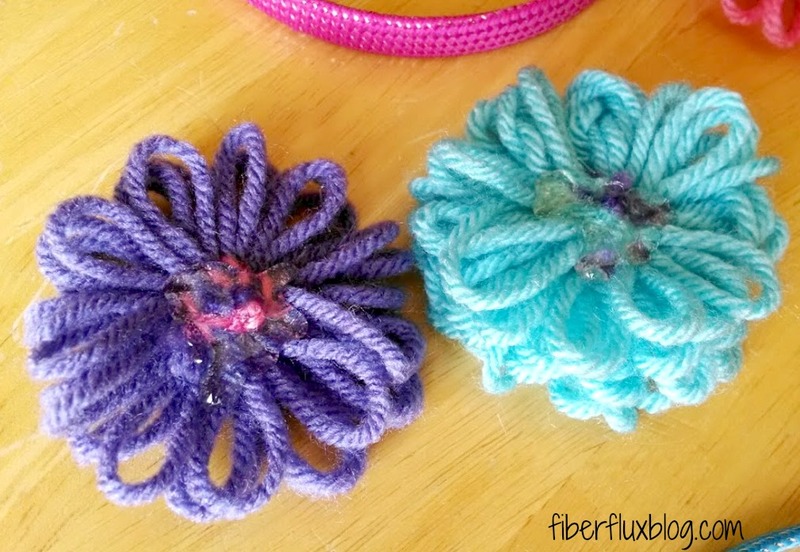 To finish off the headbands, glue a circle to the back of each flower. 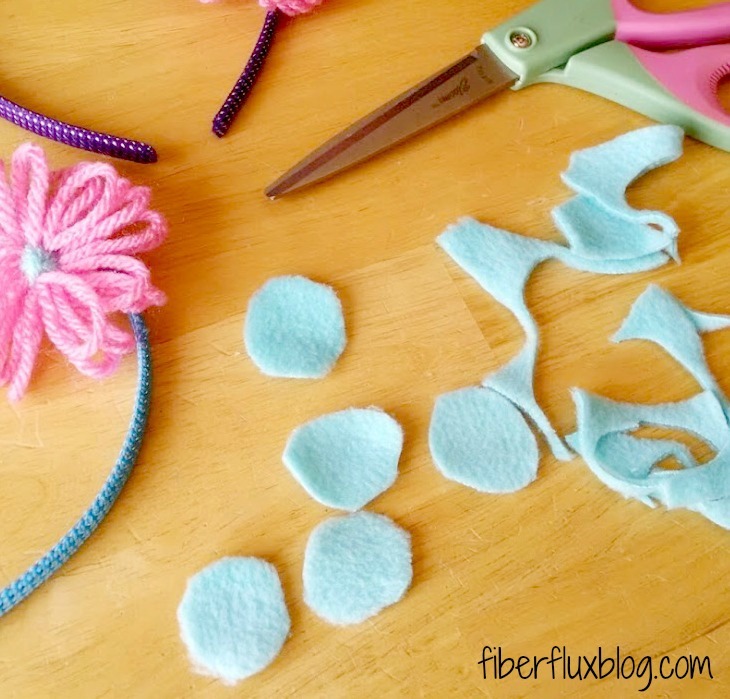 This will make it more comfortable to wear and hide the mechanics of the headband/glue. Be sure to let dry completely before moving and wearing. All finished!